The days when owners of substantial SMEs might expect a queue of cash buyers collapsed along with Lehman Brothers and the credit boom in September 2008. More positively, there is still plenty of cash and demand out there. It’s the appetite for risk that has yet to reappear. This has forced buyers – and sellers – to think more creatively, producing solutions that can work to the seller’s advantage, primarily because lower risk should equate to lower borrowing costs and thus an ability to pay, overall, more. There can also be highly significant tax advantages. Simple deferred payments. In effect, a loan. As such, it makes sense to fix a rate of interest and, most importantly, security and terms for late payment. Particularly attractive to buyers of simpler, cash-generating businesses. The earn-out. Similar to deferred payments, but linked to performance. Payments are made at agreed intervals, usually annually and for anything from two to five years. Buyers see a willingness to enter such arrangements as a strong indication of the seller’s true opinion about the future of the business. Sellers who know their business and its market should be able to strike a favourable deal. The share swap. Buyers love to use shares in their own company to buy another because it involves no cash at all, especially if they simply issue more shares. For sellers, this can be highly attractive if the shares on offer are in a valuable, listed PLC, very unattractive if they are in a private company in which a minority – and thus potentially worthless – stake is held. That is not to say that a combination of cash and shares should be dismissed out of hand, just that the value of those shares depends as much upon their technical status as on the true value of the business. Treat with care! Longer-term income rights. Arrangements involving longer-term rights to income (and, most famously in the case of GE’s Jack Welch, other corporate privileges) can involve all three of the above, sometimes stopping short of outright sale. Most buyers and sellers, though, want and end-point, a time when each is free of each other, so such agreements rarely extend beyond five years. The main exception to this is sales within families and partnerships. Flexibility in how sellers are compensated is often central to generating competition for a business and thus maximising the price achieved. 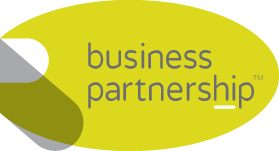 The extensive market knowledge The Business Partnership enables us advise on which arrangements are likely to be most attractive – and how to turn this to the seller’s advantage. For further information, please contact your local office.